Tata Motors dipped 4% to Rs 341 on Monday, extending Friday’s 0.4% decline on the BSE. Tata Motors was the largest loser among the S&P BSE Sensex and Nifty 50 index at 11.42 am. The benchmark indices were down less than 1% at 34,111 and 10,465, respectively. In past six trading sessions, shares of Tata Motors was down 6% after the company said that sales of JLR dropped 7.8% to 83,732 units in March 2018 over March 2017. On comparison, the S&P BSE Sensex was down 1.4% during the period. Felix Brautigam, Chief Commercial Officer, Jaguar Land Rover said that weaker market conditions in the UK and Europe, driven by lack of consumer confidence and lower demand for diesel, are impacting growth. Meanwhile, Edelweiss Securities expects Tata Motors will post consolidated revenue growth of 17% YoY in January-March quarter (Q4FY18). 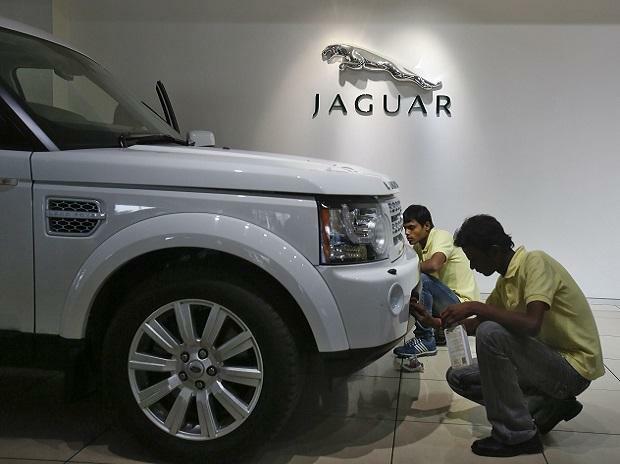 We expect consolidated operating margins to improve sequentially by 130bps to 12.8% YoY driven by operating leverage benefits in India and improving performance in JLR, the brokerage firm said in result preview. “We expect consolidated revenue to grow by 13% yoy (+17% qoq) to Rs 869 billion, led by translation gains in JLR (GBP appreciation of 8% against INR) and growth in standalone volume (standalone + 37% yoy/+19% qoq; JLR (est. ): 2% yoy/+12% qoq). EBITDA margin is likely to expand by 150bps qoq (-100bps yoy) to 13%, led by higher scale in JLR and standalone operations. Overall, adjusted PAT is likely to decrease by 14% yoy (+250% qoq) to Rs 37.7 billion,” Emkay Global Financial Services said in Q4FY18 results preview.